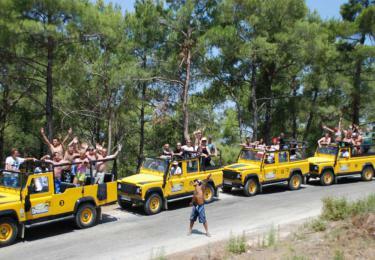 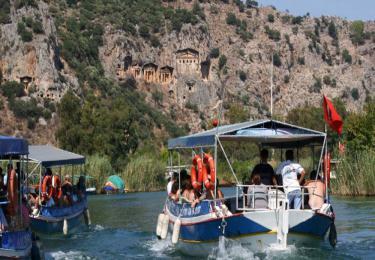 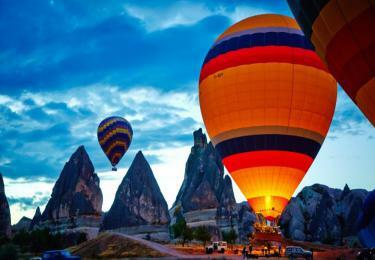 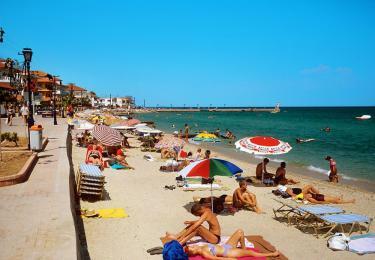 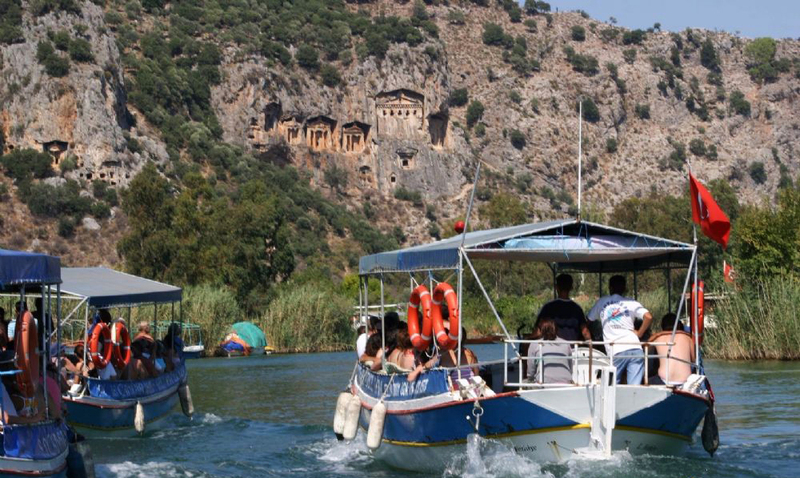 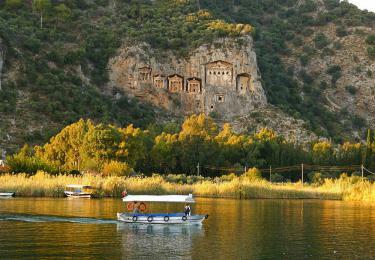 Dalyan tour is among our extensive tours which includes both historic and natural items that we can recommed. 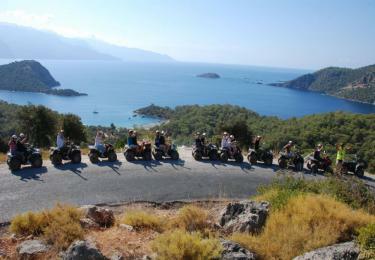 After our gathering in the early hours of the morning, a short transport of 1.5 hours is done. 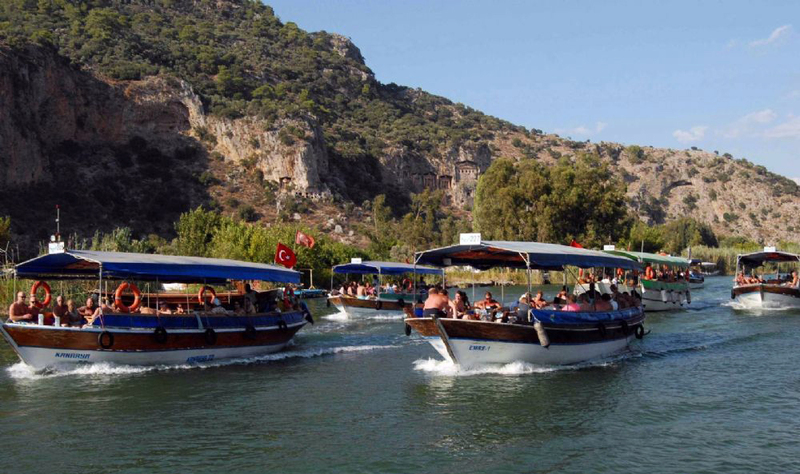 During the transport, our guides give information about Fethiye and around. 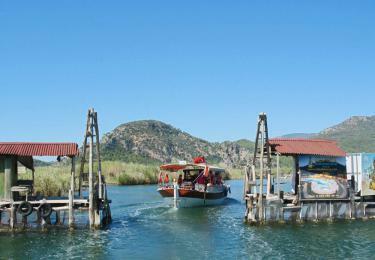 When we reach Dalyan harbour, our cruise starts with our ready boat. 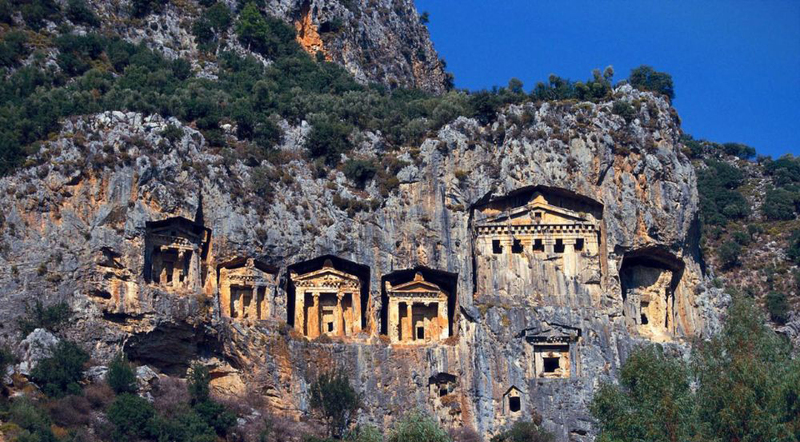 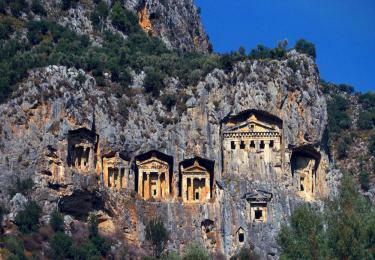 Our first destination is the Dalyan Rock Tombs. 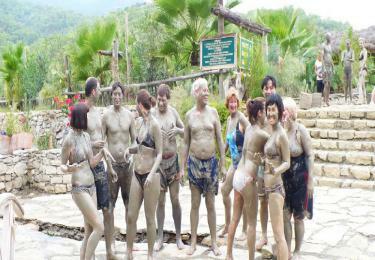 After our guide gives you information about tombs and arounds, a break is given for you to take many photos. 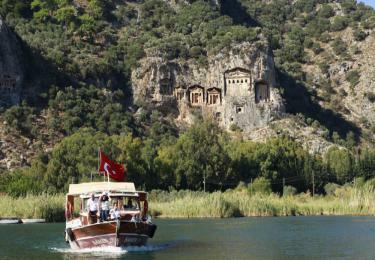 In Dalyan life is the equivalent of the water. The Dalyan river which is the topic of many movies, is famous for its caretta caretta (sea turtle) and blue crabs. Dalyan İztuzu Beach known as The Turtle Beach which streches 7.5 kms is one of the most picturesque beach of Turkey where you can aslo swim and enjoy the beach. 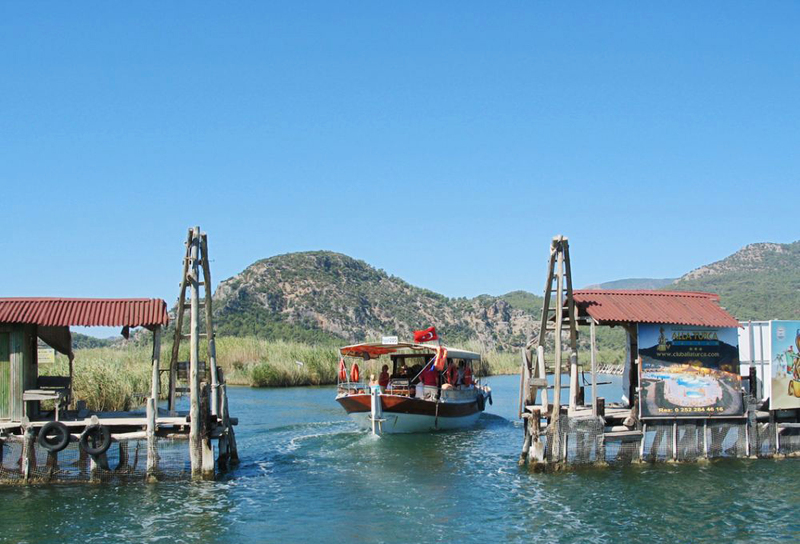 After the İztuzu Beach, the open buffet lunch by the Dalyan river is served and following the lunch, you can also make use of the curative spas and curative mud bath. 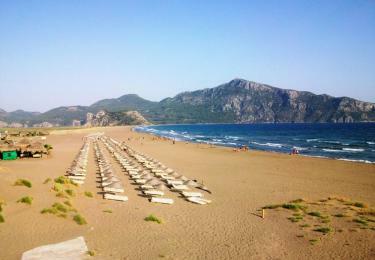 Then we say farewell to you after leaving you to your hotels.